“This evening, I had the opportunity to speak with President-elect Donald Trump to discuss recent media reports about our briefing last Friday. I expressed my profound dismay at the leaks that have been appearing in the press, and we both agreed that they are extremely corrosive and damaging to our national security. 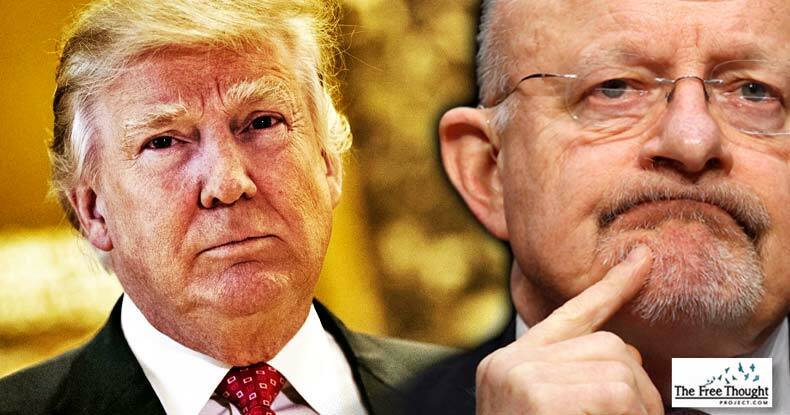 Although Clapper’s statement doesn’t exactly denounce the dossier as “phony facts,” his criticism and the fact intelligence officials have not deemed it “reliable” erode even further BuzzFeed’s feckless and inexplicable choice to run the report. CNN first alluded to the allegations contained in the dossier, but did not provide the actual pages — but BuzzFeed somehow took that as a cue to print the dossier in full, despite editor-in-chief Ben Smith publicly doubting whether the ruinous information was factual. Mainstream media outlets rushed to ride the viral wave of controversy sparked by BuzzFeed’s report, though none of the rest provided the actual document. According to the corporate media, this dossier — an unofficial, 35-page compilation of alleged tawdry acts and suggestions Trump maintained communication with Russian government throughout the election — had been produced by a former British intelligence officer and thus must be at least somewhat legitimate. However, the audacious and abrupt rush to publish the document without a thorough investigation to vet the contents quickly unraveled as the corporate press — who had essentially done as much damage as BuzzFeed by reporting the story without providing the document for the public to evaluate — began lobbing Fake News accusations at each other. Without the backing of the U.S. Intelligence Community or the findings of its own investigations of the allegations concerning the incoming president, CNN and BuzzFeed — and the New York Times, Washington Post and others who followed suit — did, indeed, publish the exact Fake News all those same outlets have been condemning for months. Now, the head of U.S. Intelligence has essentially said the same. However you characterize the ill-considered choice to print baseless accusations, it’s now clear the corporate media can no longer be considered a reliable source.